tail -f over the network on ! Containers are quickly gaining popularity as the preferred tool for deploying and running services. While being easier to deploy and isolate, containerized applications are creating new challenges for the logging and monitoring systems. 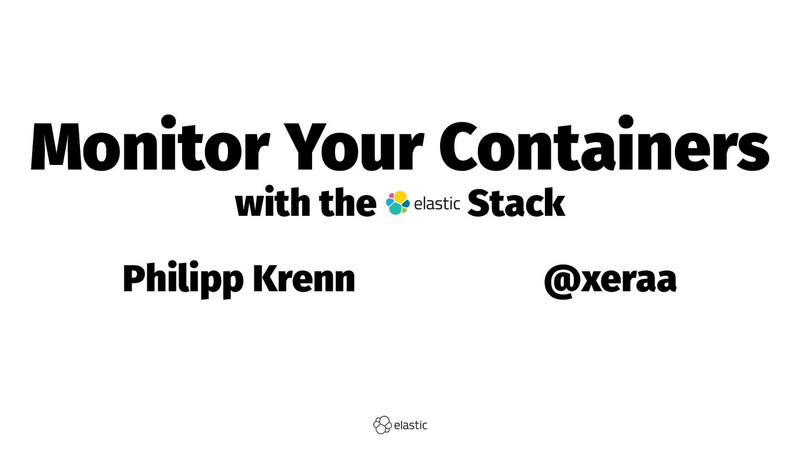 This talk will look into the details about how the Elastic Stack, and in particular Beats — lightweight shippers — are gathering data from containers. We conclude the talk with a live demo of all the components in action. Running the Elastic Stack on Docker and monitoring it plus nginx and MySQL.